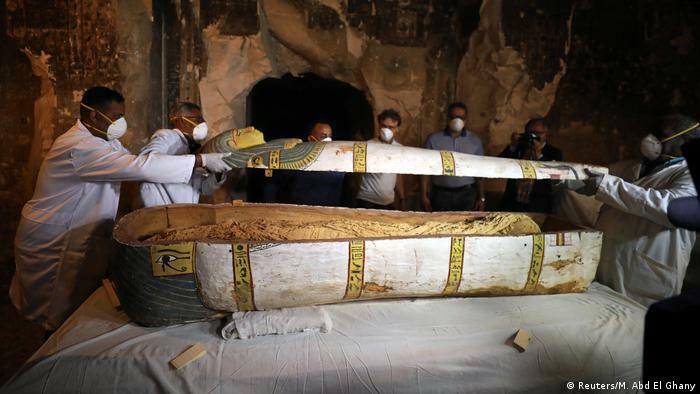 London, November 25, 2018 (AltAfrica)-Egypt on Saturday held an unveiling ceremony for a 3,000-year-old tomb, and sarcophagi [ancient coffins], discovered earlier this month in the southern city of Luxor. In the first known public opening in front of the international media, one of the coffins was revealed to contain the well-preserved mummy of a woman. The other had been opened earlier and examined by Egyptian antiquities officials. The 18th Dynasty dates back to the 13th century BC, a period noted for some of the most well-known Pharaohs, including Tutankhamen and Ramses II. 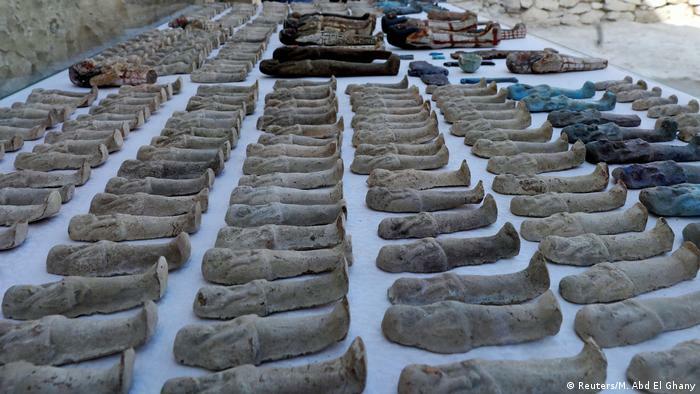 Among the other finds inside one of the tombs were statues and some 1,000 funerary Ushabtis — miniature figurines of servants to serve the dead in the afterlife. The artifacts were unearthed in the Theban necropolis of Al-Assasif. Lying on the banks of the Nile, between the royal tombs at the Valley of the Queens and the Valley of the Kings, the necropolis is the burial site of nobles and courtiers of ancient Egyptian pharaohs. Egypt often announces archaeological discoveries with great fanfare, despite being accused of a lack of scientific rigor and neglect of its antiquities. More than a dozen ancient discoveries have been announced since the beginning of this year. Hit by the turmoil that enveloped Egypt after the 2011 uprising that ousted longtime President Hosni Mubarak, the tourism sector has picked up over the past two years, and archaeological sites, particularly in Luxor, are a significant draw for foreign visitors.